As a Canadian living in the United States (legally -- I'm a permanent resident), Americans routinely ask me when I'm going to become a U.S. citizen. It's always interesting to watch their reactions when I tell them "no thank you." The simple answer is that don't want to run afoul of that greedy monster, the IRS. As a Canadian living in the United States (legally -- I'm a permanent resident), Americans routinely ask me when I'm going to become a U.S. citizen. "I can't wait to throw a party for you when you become an American," gushed one California friend on the golf course the other day. In fact, all my U.S. friends automatically assume that once the most precious gift of American citizenship is available to me, I'll jump all over it. It's always interesting to watch their reactions when I tell them "no thank you." On the surface, the benefits of U.S. citizenship look fairly appealing: I get to vote, no one can deport me, I'm eligible for social security, and God forbid, I can even run for public office (although sadly I can't be President). Plus, if you're Canadian, you are no longer required to renounce your Canadian citizenship to become a naturalized American. "Why then," a realtor I know here in the U.S. asked recently, "wouldn't you want to become a U.S. citizen?" The simple answer to that question is that don't want to run afoul of that greedy monster, the IRS. To explain, the U.S. is the only country in the developed world where taxation is based on citizenship rather than residence. This policy dates back to the Civil War and the Revenue Act of 1862 which called for taxing citizens abroad to punish them for fleeing the country to avoid joining the Union Army. It's fair to say that the policy is fully entrenched in the tax system, and it's unlikely to change. So if you're one of the 7.6-million U.S. citizens living abroad today, you are required to file a tax return to the IRS every year in addition to the tax return that you file in your country of residence. For many expats, even filing a basic U.S. tax return is an expensive undertaking, since accountants may be the only people in the world who understand them. As long as I reside in the U.S., I don't have a problem though, because I file a tax return here, and Canada does not require that I also file there. However, if I return to Canada to live at some point in the future, which is likely, and I've got dual Canadian/U.S. citizenship, I would have to file two tax returns: one to Revenue Canada and one to the IRS. But it gets worse: in 2010 the Foreign Account Tax Compliance Act (FATCA) was quietly put into effect requiring foreign banks to reveal American accounts holding over $50,000. The purpose of the Act was to force foreign banks to help claim back money from U.S. citizens living abroad, and it has been very effective (the Wall Street Journal estimates that FATCA has netted the U.S. Treasury $6 billion so far). Penalties for not complying are harsh, and many foreign banks have responded by flatly refusing to handle American accounts at all. Imagine living in a foreign country and not having access to basic banking services. No wonder record numbers of U.S. citizens living abroad have taken the extreme measure of renouncing their American citizenship since then. Last year there were a record 3,000 renunciations, and this year that number is expected to grow. Boris Johnson, the flamboyant and much loved mayor of London, is an excellent example of how unfair the IRS can be to expats living abroad. He recently admitted that the IRS is pursuing him for capital gains tax owed on the sale of his London home, even though he hasn't lived in the US since he was five. And he's since become the 'poster boy' for millions of U.S. expats with tax troubles. To quickly recap his story, Johnson was born to U.K. expats living in the U.S. He lived there until he was five, and then returned to the U.K. with his family, where he has lived, worked, and paid taxes ever since. But (and this is big) Johnson also clearly felt his American citizenship was worth maintaining, because only two years ago he renewed his U.S. passport. In any event, as absurd as it sounds, the IRS is now after him for tax they say he owes on the sale of his London home. True to character, Johnson publicly and emphatically refused to pay the IRS in this November PBS interview, claiming the tax is outrageous. But the problem is, his only options are to fight the IRS, with their unlimited legal budget, pay the tax, or join the rapidly growing number of expats who will be renouncing their U.S. citizenship this year. And quitting America is no easy deal. 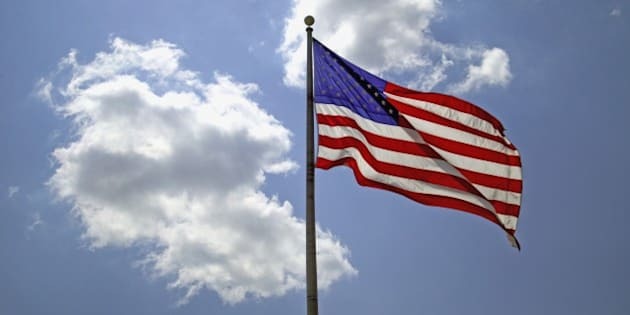 The fee for renouncing U.S. citizenship was recently bumped from $450 to $2,350, and if you choose this option, you are required to certify that you have been tax compliant for the previous five years, which means filing complicated returns and paying all relevant taxes and penalties. There's also an exit tax for people whose net worth is $2 million or more, or whose annual income is $160,000 or more. I don't have a problem with paying taxes. But I only want to file one tax return a year, because as it is, I need an accountant to prepare it. And I certainly don't want to risk being tapped on the shoulder by the IRS sometime in the future, when I no longer live in the USA. So no, I'm not interested in becoming an American citizen, even if my American pals are incredulous at this statement. It just doesn't make any sense for me. 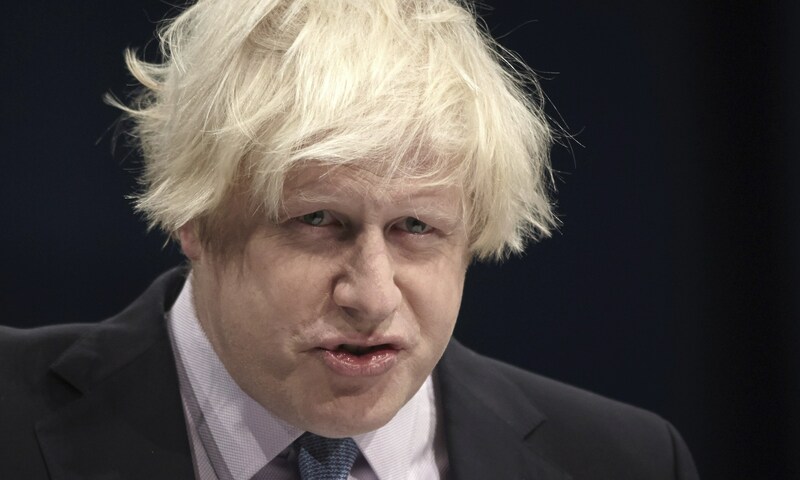 As for Boris Johnson, I doubt he's going to single handedly bring down the IRS, despite his initial bluster. Should be fun watching him try though.